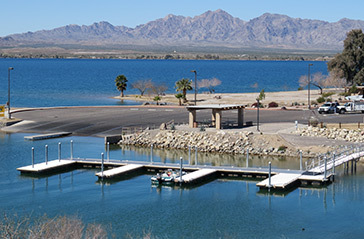 Lake Havasu Now Offers 24/7 Online Campground Reservations or Call Reservation Center! 9am.-5pm. - Sat., 9am.-3pm. - Sun. Admission $3.00 per adult, Kids 6 & under FREE! 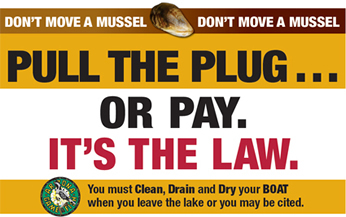 Don't Move a Mussel: It's the Law! The park is experiencing some difficulties with wild pigs. The park is actively working on removing them. In the meantime, campers are advised to keep all food items and garbage properly stored. The campground is open. All sites now have 50 amp electrical hookups and access to potable water at individual sites. Nightly camping fee is $30-$35 a night; except beachfront sites which are $35-$40 a night. Beachfront sites include site numbers: 3, 4, 7, 8, 10, 14, 16, 34, 36, 38, 40, and 41. 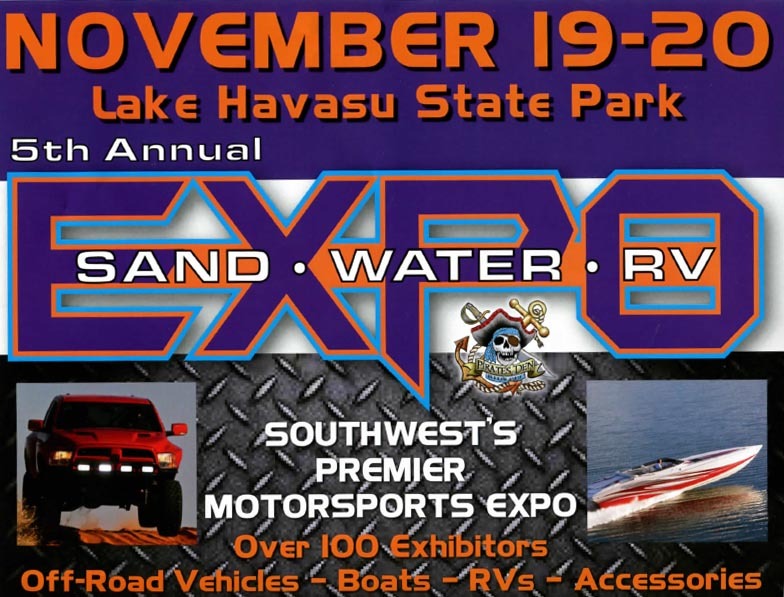 Lake Havasu State Park will be getting a new launch ramp, additional/upgraded parking, and a new exit at Lot 4. Due to scheduled park improvements starting in October, there will be some construction traffic, noise, and dust from daylight to sunset, seven days a week until completion. We are sorry for any inconvenience this may cause during your stay. 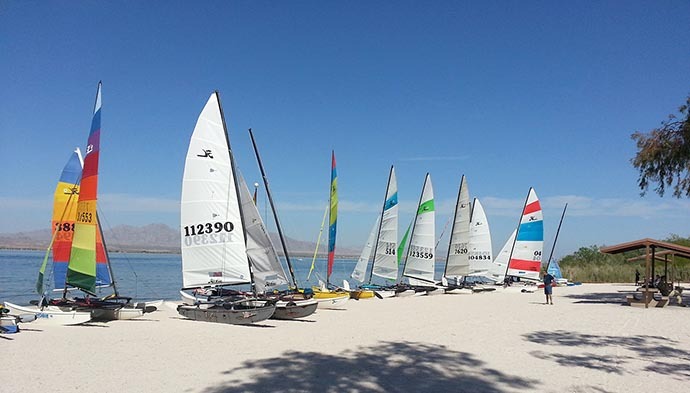 Lake Havasu State Park offers many water recreation activities. Located within Lake Havasu City, it's a great place to spend the day. The park offers 3 boat ramps, 47 campsites, a special events area (not available on holiday weekends), picnic area, and beach area. The Mohave Sunset Trail (1.75 miles) winds its way through the lowland desert and along the shoreline.